Develop the internal capability to run a proven, repeatable process and lower the cost, time and risk of innovating at your company. Answer key business and user questions about your new product, service or experience idea so your team can gain confidence that what you’re building is what your customers truly want. Boost team morale by compressing months of unstructured work, achieving rapid progress, and working with real customers. Two full days of expert instruction and small group facilitation. Interactive simulation in which teams will learn by doing. A deep dive into each step of the Design Sprint process: Mapping • Sketching • Deciding • Prototyping • Testing. 10-to-1 typical participant-to-instructor ratio (exact ratio to be finalized with you). A digital certificate of completion for posting on LinkedIn. A how-to companion guide in PDF format that mirrors the course activities and personalized with photos of your course. A copy of the presentation deck in PDF format. A member of our team will get back with you shortly. Thanks! Develop internal capacity to use human-centered approaches to build and test solutions. Create powerful moments and authentic offerings that resonate with your customers. Uncover unmet needs and new opportunities for improving the experience for customers, stakeholders and employees alike. Hands-on, fast-paced activities that engage participants in learning-by-doing. A deep dive into Service Design Thinking techniques: Ethnographic field research • Stakeholder mapping • Persona development • Customer journey mapping • Challenge framing • Idea generation • Prototyping. Motivate hearts and minds among your customers, stakeholders, project teams and across your entire organization. Lower the risk of internal changes at your organization. Avoid team burnout by making it easy to adopt new changes. Identify and build on what’s already working. Create champions of your causes. Effect change even when you have little leverage to do so. Experiential learning through hands-on activities. A deep dive into Culture Change tactics: Pointing to the Destination • Finding the Feeling • Smoothing the Path • Building on what works • Scripting Critical Moves • Rallying the Herd. 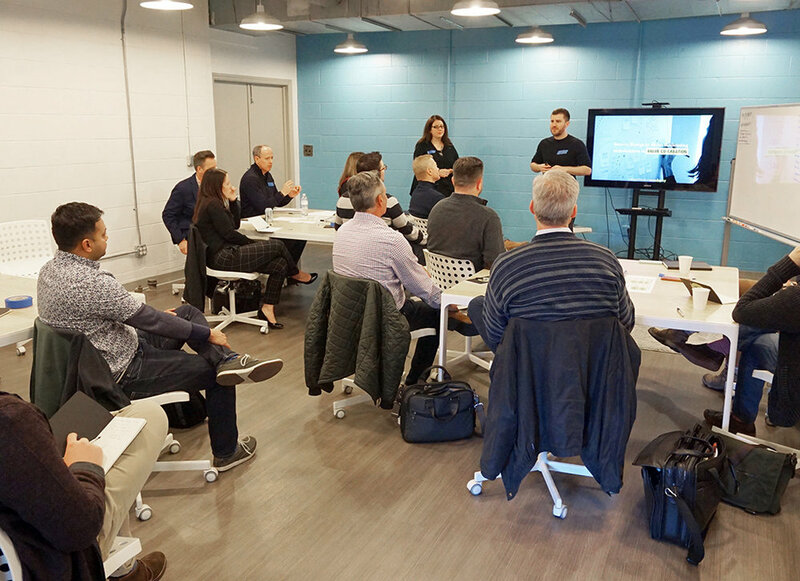 Wily partnered with Jake Knapp, the creator of the design sprint process and author of NYTimes Bestseller Sprint + Jeff Grant, head of product innovation at InVue to deliver a two day Design Sprint Bootcamp. This sold out event was attended by companies from Portland to Thailand, universities from Canada to the Mid-Atlantic, and thanks to the Knight Foundation, representatives from city and county governments, library systems, and public schools. Wily partnered with Jeremy Losaw of Enventys Partners and Emil Rodriguez of Xolutronic to run a five day Design Sprint Bootcamp with INTEC University engineering and industrial design students in Santo Domingo, Dominican Republic. The bootcamp was partially funded through the Young Leaders of the Americas Initiative (YLAI), a Professional Fellows Program within the U.S. State Department. Wily ran a two day Service Design Fundamentals course that covered service design basics including: field research, persona development, challenge framing, insight mapping, idea generation, and prototyping. This sold out course included participants from Avaya, Ally Financial, Blue Cross Blue Shield, Bank of Montreal, and Davidson College.